This is an incredibly interesting book. 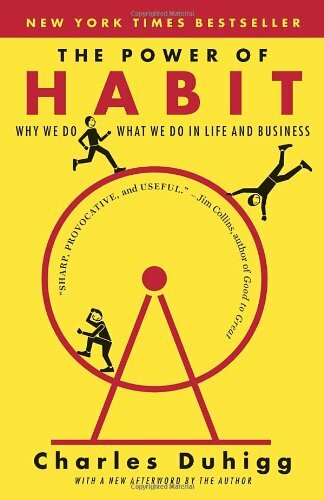 It combines scientific research into human behaviour and psychology with great story telling to unravel how we for habits and how they run our lives. I was particularly fascinated with the incredible amount of research done by marketing companies and the big corporations and not that surprised to find that they often know more about us than we do. If you train yourself and more importantly if you train others in anything at all, no matter how much you already know, this book will deepen your understanding on how we develop skills by building complex neural networks. Not only that, but what is involved when we try to rewire the brain, how it can go wrong and how to do it successfully. This is as good an introduction to the architecture and functioning of the brain as most people will need in an incredibly easy to access format. Whilst focusing in p[art one on the individual, part two looks in depth at organisations and part three at societies. The scope of this book is enormous but it is so well written you are both informed and entertained throughout, and every now and then up pops a dinky little diagram to reward the reader (oops, is that me revealing something). You will learn about camouflaging kidneys, placing sticky tunes on radio playlists and how the shops know a woman is pregnant before she does. In fact this is the kind of book that will have you annoying your significant other as you keep reading bits out to them. It is also full of really useful anecdotes that will help you understand your training and your teaching better and I have used a few of them times over to explain otherwise technical concepts to students. People love stories more than jargon. Treat yourself, by it, read it, read it more than once and keep it handy as a reference, I do. Available for purchase at the CRGI Bookstore.